Hands-on experience in a laboratory is essential for preparing today’s youth to become tomorrow’s scientists. 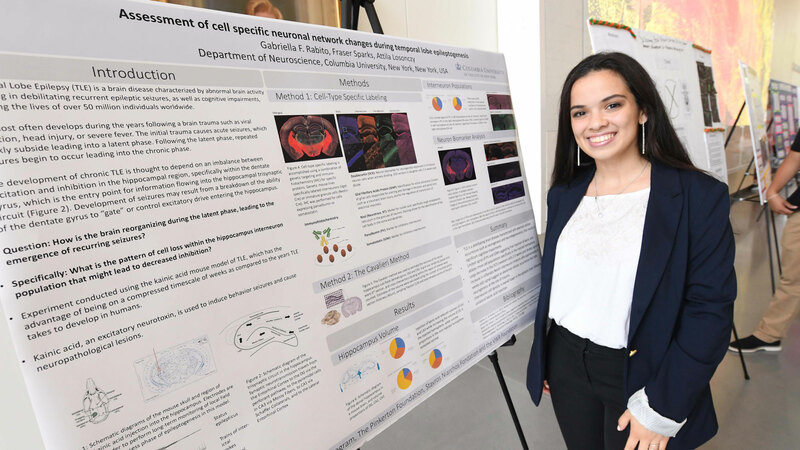 With this mind, the Zuckerman Institute’s Brain Research Apprenticeships in New York at Columbia (BRAINYAC) program provides an immersive summer research experience in which high school students train and work in neuroscience laboratories at Columbia University. A 2018 BRAINYAC student presents her research to the Columbia community (Credit: Eileen Barroso/Columbia University). The BRAINYAC program is open to students from select partner programs and schools that serve students in Upper Manhattan and the Bronx. Each student is matched with a Columbia neuroscientist, a mentor who guides the student through a research project. Interns come away from the experience with an enhanced understanding of how laboratory research leads to transformative discovery, exposure to a professional academic environment and a stronger connection to science as a career. The BRAINYAC program accepts applications from 10th and 11th grade students nominated by one of our partner programs: S-PREP, Lang Youth Medical, Double Discovery Center, and Columbia Secondary School. 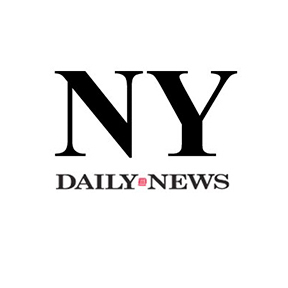 Applicants must reside in New York City, and preference is given to students in upper Manhattan and the South Bronx. Program applications are distributed to our partner programs each fall. Are you interested in being a BRAINYAC mentor? Prospective mentors must be enrolled in a PhD program, or already have an advanced degree (PhD, MD) or have significant lab experience. BRAINYAC receives generous support from the Pinkerton Foundation, the Stavros Niarchos Foundation, the VWR Foundation and the and the National Science Foundation's NeuroNex Award DBI-1707398.